*(Box Set Deal, Not Free) Military Romance Series: Soldier’s Bride: (Alpha Billionaire Arranged Marriage Romance) (Military Romance Novels) (Deal, Not Free) by Bella Rayne. Price: $0.99. 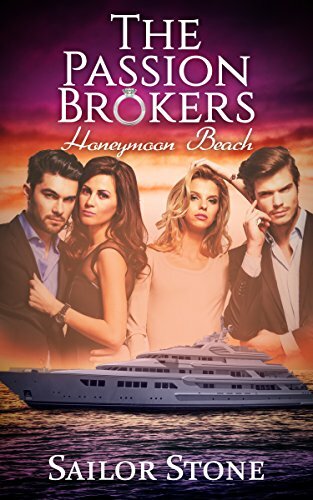 Genre: Adult Alpha Billionaire Romance Box Set Deal of the Day, Sponsor, Military Romance. Rated: 4.9 stars on 10 Reviews. ASIN: B01GUDSN1S. ***Something Great (Deal, Not Free) by M. Clarke, Bookfabulous Designs. Price: Free. Genre: Adult Romance Deal of the Day, Sponsor, Coming of Age, New Adult & College Romance. Rated: 4 stars on 463 Reviews. 291 pages. ASIN: B00DZ07ATQ. *A Warrior’s Heart (Deal, Not Free) by Amanda McIntyre. Price: $0.99. 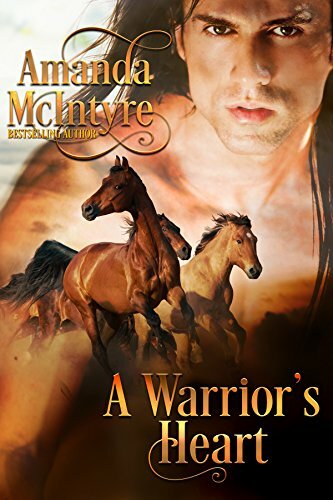 Genre: Adult Western Romance Deal of the Day, Sponsor, Native American. Rated: 5 stars on 2 Reviews. 182 pages. ASIN: B01M0GWXS3. 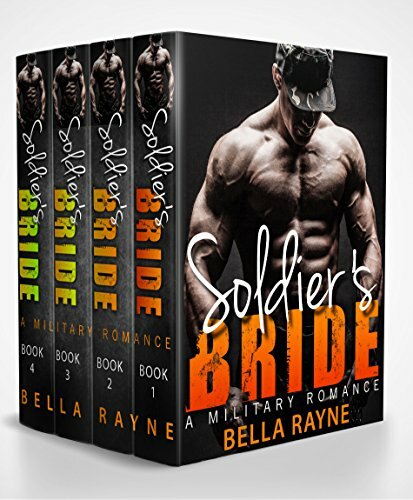 *(Box Set Deal, Not Free) Military Romance Series: Soldier’s Bride: (Alpha Billionaire Arranged Marriage Romance) (Military Romance Novels) (Deal, Not Free) by Bella Rayne. Price: $0.99. Genre: Steamy Military Romance Box Set Deal of the Day, Sponsor, Short Stories, Military. Rated: 4.9 stars on 10 Reviews. ASIN: B01GUDSN1S. *A Warrior’s Heart (Deal, Not Free) by Amanda McIntyre. Price: $0.99. Genre: Steamy Western Romance Deal of the Day, Sponsor, Native American. Rated: 5 stars on 2 Reviews. 182 pages. ASIN: B01M0GWXS3. 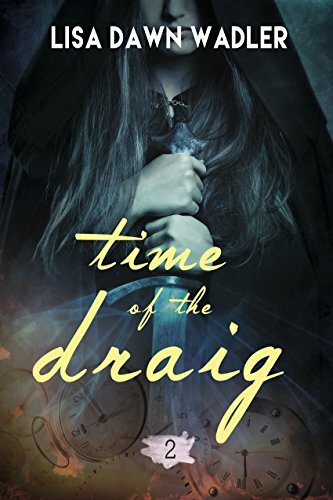 *Time of the Draig (Deal, Not Free) by Lisa Dawn Wadler. Price: $2.99. Genre: Steamy Scottish Historical Romance Deal of the Day, Sponsor, Time Travel Romance. Rated: 4.6 stars on 10 Reviews. 342 pages. ASIN: B01H5XQI6Y. ***Temptation (The Hunted Series Book 1) by Ivy Smoak. Price: Free. Genre: Steamy Contemporary Romance of the Day, Sponsor, New Adult & College Romance. Rated: 4.5 stars on 266 Reviews. 353 pages. ASIN: B00VVG6LMI. *A Warrior’s Heart (Deal, Not Free) by Amanda McIntyre. Price: $0.99. Genre: Steamy Western Romance Deal of the DaySponsor, Native America. Rated: 5 stars on 2 Reviews. 182 pages. ASIN: B01M0GWXS3. **Sinner by Minx Hardbringer. Price: Free. Genre: Contemporary Erotica, Romantic Suspense. Rated: 4.4 stars on 64 Reviews. 170 pages. ASIN: B01KEKR7L0. **Uncharted (Serendipity Adventure Romance Book 1) by Anna Lowe. Price: Free. Genre: Contemporary Steamy Romance, Sea Adventures, Romantic Comedy. Rated: 4.9 stars on 56 Reviews. 131 pages. ASIN: B013C7TATE. *Faith and the Billionaire’s Baby by Mia Caldwell. Price: Free. Genre: Multicultural Steamy Romance, Women’s Fiction, Romantic Comedy. Rated: 4.3 stars on 57 Reviews. 175 pages. ASIN: B01GF3UDDY. *Thorn: Carter Kids #2 by Chloe Walsh. Price: Free. Genre: Sports Steamy Romance, New Adult & College. Rated: 4.7 stars on 35 Reviews. 244 pages. ASIN: B01BXHIKFK. *Concealing Grace (The Grace Series Book 1) by Elizabeth Courtright. Price: Free. Genre: Erotica Sagas, Military, Historical Romance. Rated: 5 stars on 7 Reviews. 342 pages. ASIN: B016N470ZE. Ryder by Lexi Cross. Price: Free. Genre: Contemporary Steamy Romance, Heist. Rated: 4 stars on 35 Reviews. 611 pages. ASIN: B01I0KN2Z6. Biker (Bad Boys in Big Trouble Book 1) by Fiona Roarke. Price: Free. Genre: Steamy Romance Suspense, Contemporary. Rated: 4.6 stars on 8 Reviews. 230 pages. ASIN: B01ACBM8EW. Securing Her Surrender (Love Hack Book 3) by Allyson Lindt. Price: Free. Genre: Contemporary Steamy Romance. Rated: 4.8 stars on 5 Reviews. 217 pages. ASIN: B014LLM58S. ***The Alpha’s Mate (Huntsville Pack Book 1) by Michelle Fox. Price: Free. Genre: Shifters Steamy Romance, Fantasy, NY Times & USA Today Bestselling Author, Paranormal. Rated: 4.5 stars on 114 Reviews. 129 pages. ASIN: B00FHFODOM. NY Times & USA Today Bestselling Author Michelle Fox. *(Box Set Deal, Not Free) Military Romance Series: Soldier’s Bride: (Alpha Billionaire Arranged Marriage Romance) (Military Romance Novels) (Deal, Not Free) byBella Rayne. Price: $0.99. Genre: Adult Military Romance Box Set Deal of the Day, Sponsor, Short Stories, Military. Rated: 4.9 stars on 10 Reviews. ASIN: B01GUDSN1S. *Time of the Draig (Deal, Not Free) by Lisa Dawn Wadler. Price: $2.99. Genre: Adult Scottish Historical Romance Deal of the Day, Sponsor, Time Travel Romance. Rated: 4.6 stars on 10 Reviews. 342 pages. ASIN: B01H5XQI6Y. ***Temptation (The Hunted Series Book 1) by Ivy Smoak. Price: Free. Genre: Adult Contemporary Romance of the Day, Sponsor, New Adult & College Romance. Rated: 4.5 stars on 266 Reviews. 353 pages. ASIN: B00VVG6LMI. ***Trouble Makers by Emme Rollins. Price: Free. Genre: Contemporary Steamy Romance of the Day, New Adult & College, NY Times Bestselling Author, Romantic Comedy. Rated: 4.6 stars on 245 Reviews. 224 pages. ASIN: B00RY953IY. NY Times Bestselling Author Emme Rollins. ***Alien Prince’s Bride by Vi Voxley. Price: Free. Genre: Science Fiction Steamy Romance of the Day, Alien Invasion, Adventure. Rated: 4.5 stars on 135 Reviews. 223 pages. ASIN: B01EJ0OPTS. **Bear Queen (Royal Bears Book 3) by Emma Alisyn. Price: Free. Genre: Shifters Steamy Romance of the Day, Paranormal, Romantic. Rated: 4.6 stars on 81 Reviews. 199 pages. ASIN: B01KOVP87O. **Her Mad Dragon (Dragon Guard Series Book 15) by Julia Mills. Price: Free. Genre: Shifters Steamy Romance of the Day, Fantasy, NY Times & USA Today Bestselling Author, Paranormal. Rated: 4.8 stars on 58 Reviews. 190 pages. ASIN: B01ICKUZHM. NY Times & USA Today Bestselling Author Julia Mills. **Writing Mr. Right by Michaela Wright. Price: Free. Genre: Fantasy Steamy Romance of the Day, British, Contemporary. Rated: 4.6 stars on 47 Reviews. 283 pages. ASIN: B01K6OUDR4. *Knights of Stone (Highland Gargoyles Book 1) by Lisa Carlisle. Price: Free. Genre: Paranormal Steamy Romanceof the Day, Witches & Wizards, USA Today Bestselling Author, Coming of Age. Rated: 4.5 stars on 40 Reviews. 156 pages. ASIN: B00O9EHH5E. USA Today Bestselling Author Lisa Carlisle. *Hunter (Hell Reapers MC Book 1) by Liz Lorde, M. M Chabot. Price: Free. Genre: Contemporary Steamy Romance of the Day, Women’s Adventure, New Adult & College. Rated: 4.4 stars on 25 Reviews. 346 pages. ASIN: B01IL6KZCC. A Secret Baby for the Bear Shifter by Ava Hunt. Price: Free. Genre: Shifters Steamy Romance, Multicultural, New Adult & College. Rated: 4.3 stars on 23 Reviews. 161 pages. ASIN: B01JAIXH7U. *Dragon Fire (Dragons of Perralt Book 1) by Sher Dillard. Price: Free. 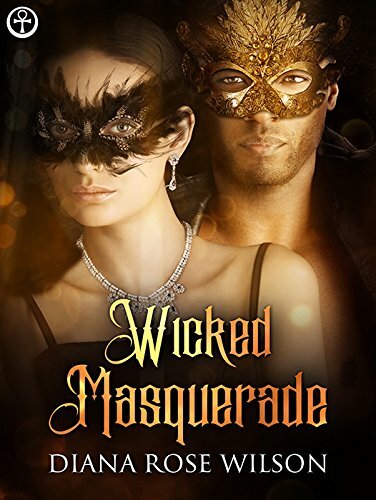 Genre: Shifters Steamy Romance of the Day, Fairy Tales, Fantasy. Rated: 4.5 stars on 11 Reviews. 230 pages. ASIN: B01JVHIWP2. Obsession (The Volkov Mafia Series Book 1) by Samantha Harrington. Price: Free. Genre: Steamy Romance Suspense, Suspense. Rated: 4.2 stars on 26 Reviews. 184 pages. ASIN: B014RWF484. In Deep Part One by Kella McKinnon. Price: Free. Genre: Contemporary Steamy Romance, Romantic Suspense, Suspense. Rated: 4.2 stars on 64 Reviews. 354 pages. ASIN: B00NXZ04PK. *A Warrior’s Heart (Deal, Not Free) by Amanda McIntyre. Price: $0.99. Genre: Adult Western Romance Deal Not Free, Sponsor, Native America. Rated: 5 stars on 2 Reviews. 182 pages. ASIN: B01M0GWXS3. *Hilo: A Stepbrother Sports Romance (XOXO Romance Book 1) (Deal, Not Free) by Claire Donovan. Price: $0.99. Genre: Adult Stepbrother Romance Deal of the Day, Sponsor, Military Romance, Women’s Fiction. Rated: 4.8 stars on 5 Reviews. 156 pages. ASIN: B01INNDIDQ. *Protecting the Dream (A Dream Seeker Novella Book 2) by Michelle Sharp. Price: Free. Genre: Adult Paranormal Romance of the Day, Sponsor, Romantic Suspense. Rated: 4.8 stars on 17 Reviews. 108 pages. ASIN: B0157QLYCO. *Nocturna League (Episode 1: The Witching Book) by Kell Inkston. Price: Free. Genre: Science Fiction of the Day, Sponsor, Steampunk, Teen & Young Adult, Fantasy. Rated: 4.8 stars on 6 Reviews. 55 pages. ASIN: B00Y1RH1H8. 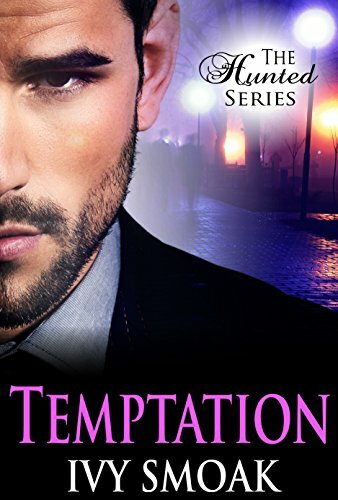 ***Temptation (The Hunted Series Book 1) by Ivy Smoak. Price: Free. Genre: Steamy Contemporary Romance of the Day, Sponsor, New Adult & College Romance. Rated: 4.5 stars on 265 Reviews. 353 pages. ASIN: B00VVG6LMI. ISBN: 151514688X. 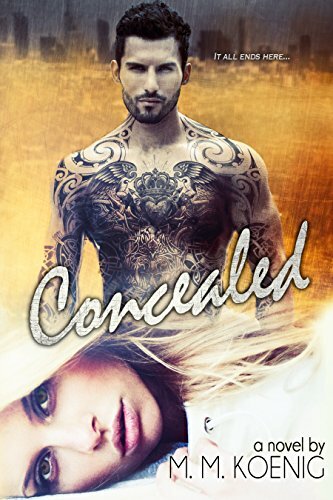 *Concealed (Secrets and Lies Series Book 3) (Deal, Not Free) by M. M. Koenig. Price: $0.99. Genre: Steamy Romance Deal of the Day, Sponsor, Romantic Suspense. Rated: 4.7 stars on 43 Reviews. 441 pages. ASIN: B015WSXSVW. *Cuffed (Lockdown Series Book 1) by Eden Rose. Price: Free. Genre: Romance Erotica of the Day, Genre Fiction, Sagas. Rated: 4.5 stars on 17 Reviews. 229 pages. ASIN: B010MJEYQY. ***Catching Cassidy (Harborside Nights, Book One) by Melissa Foster. Price: Free. Genre: Contemporary Steamy Romance of the DAy, Sagas, NY Times Bestselling Author, New Adult & College. Rated: 4.6 stars on 166 Reviews. 280 pages. ASIN: B00M7EGPEM. ISBN: 1941480071, NY Times Bestselling Author Melissa Foster. **Desert Rose (The Wolves of Twin Moon Ranch Book 5) by Anna Lowe. Price: Free. Genre: Shifters Steamy Romance of the Day, Multicultural, Paranormal. Rated: 4.9 stars on 89 Reviews. 159 pages. ASIN: B01A4Q26WY. *Heal Me: Club Surrender- Book 1 by A.C. Nixon. Price: Free. Genre: Multicultural Steamy Romance of the Day, Contemporary. Rated: 4.6 stars on 45 Reviews. 158 pages. ASIN: B01KE4ZPNI. *Moon Borne (Halcyon Romance Series Book 1) by Rachael Slate. Price: Free. Genre: Fantasy Steamy Romance of the Day, Historical. Rated: 4.7 stars on 38 Reviews. 294 pages. ASIN: B014HZUKZI. *Unknown (Unknown Identity Series Book 1) by Lexy Timms. Price: Free. Genre: Contemporary Steamy Romance of the Day, Women’s Fiction, New Adult & College. Rated: 5 stars on 22 Reviews. 211 pages. ASIN: B01DOC1FKE. *Romance Collection – 16 Contemporary Romance Stories! by Sierra Rose. Price: Free. Genre: Steamy Romance Box Set of the Day, Contemporary. Rated: 5 stars on 6 Reviews. ASIN: B01GYYEIL2. Playing a Player by Ivy Smoak. Price: Free. Genre: Steamy Romance Comedy, New Adult & College. Rated: 4.2 stars on 59 Reviews. 324 pages. ASIN: B00XNMKN2W. Dragon Heat (Dragons of Perralt Book 2) by Sher Dillard. Price: Free. Genre: Shifters Steamy Romance, Fantasy, Paranormal. Rated: 4.4 stars on 8 Reviews. 238 pages. ASIN: B01LL522YO.